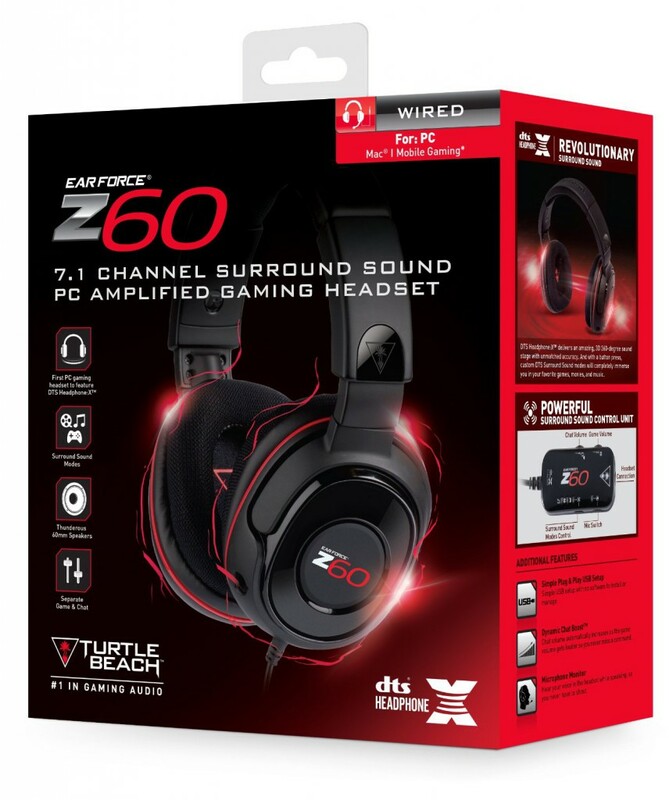 For its cheap affordable price, the Turtle Beach Ear Force Z60 offers gamers more than just a gaming headset. 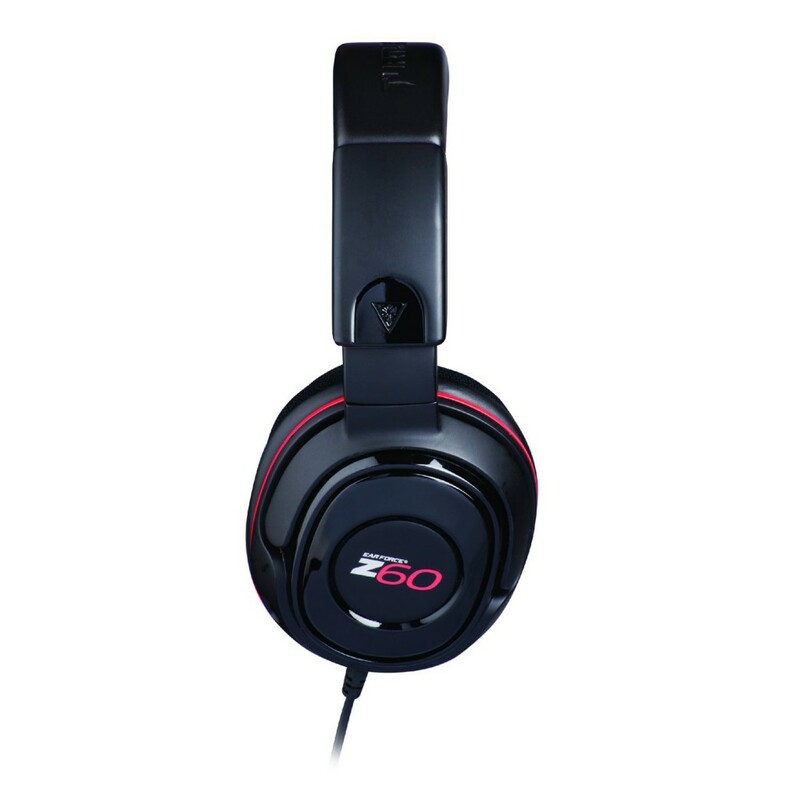 The Z60 is a quality, versatile, great looking, well designed and comfortable high end piece of kit all rolled up in a low affordable price and every PC gamer should consider this when looking for a new gaming headset. When it comes to it, there are a select few headsets in the market that can realistically be used for both gaming and general use. The Turtle Beach Z60 fits perfectly into this category and with its large 60mm drivers and affordable price, it is not too difficult to argue that it tops it. This is truly one of the best Turtle Beach headset PC in its price bracket. As is typically the case with Turtle Beach headsets, it has an in-line control unit which allows the user to control volume, select sound profile pre-sets and toggle mic monitoring. You can insert a standard 3.5 mm stereo jack in to the control unit so that you can easily use the headset with your smart phone or tablet on the go rather than as your gaming headset. This is not simply a gimmicky either, the design features, branding and colour scheme on this headset are such that you can be forgiven for mistaking them as a set of expensive headphones rather than your typical bulky Turtle Beach gaming headset. As we noted above, the Turtle Beach Z60 comes with large 60mm drivers in the speakers which delivers loud and clear audio with plenty of hefty base tone. There are EQ options if you prefer not to use the 3 standard pre-set sound profiles (gaming, music and cinema) though we would suggest that the three profiles perform their functions competently. The music profile oddly increases the bass levels which we would have expected from the movie pre-set but otherwise each mode greatly enhances the particular experience. The bass is plentiful and will deliver top notch loud deep tones. We enjoyed putting the Z60 through its paces in games like Battlefield 4 and Ryse: Son of Rome which it performed brilliantly on and made you feel like you were effectively placed on the battle field. 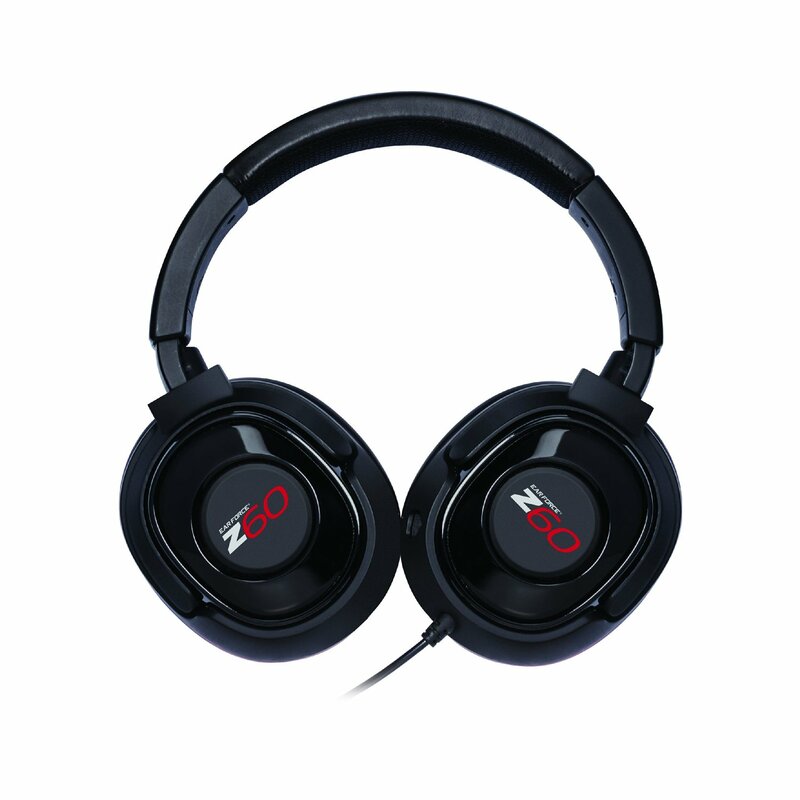 There has been some mumblings on the net that the higher tones come up a bit short with the Ear Force z60. This is marginally true from what we could garner and it’s most notable when you listen to music. You would only be able to notice the difference if you are coming from an expensive gaming headset or if you are aware of the quality that can be achieved from dedicated music headsets such as beats by Dr Dre. Our view is that you ears will quickly adjust to the level of tones that are delivered by the Turtle Beach Z60 and you are otherwise likely to enjoy the loud, clear and basey audio the headset delivers. 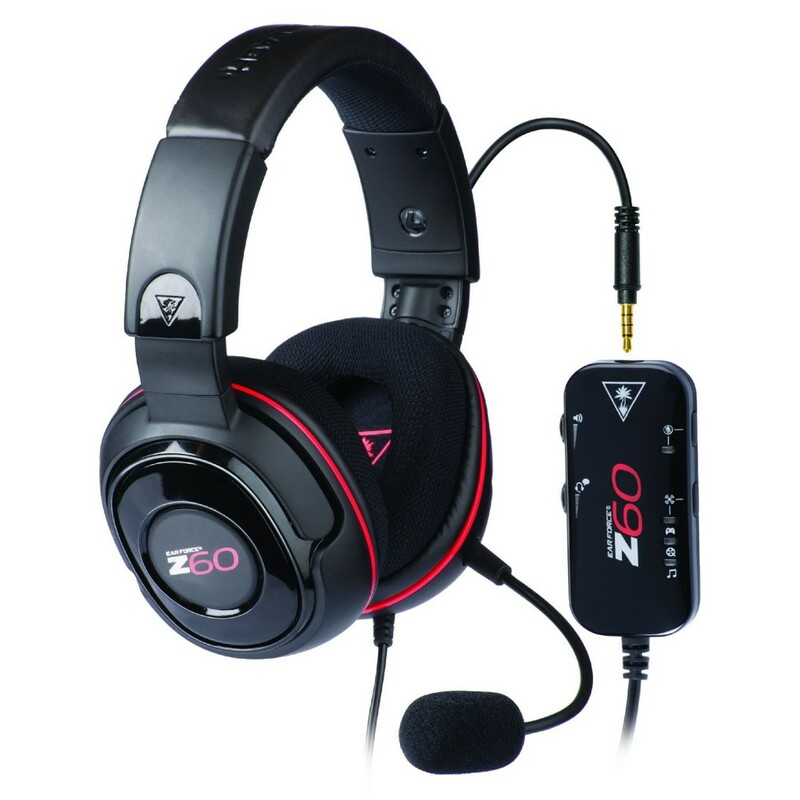 Whilst the Z60 headset performs great with games featuring hefty explosions and chaotic action, we were also very pleased to see how well it coped with more sombre and mellow games that place emphasis on its soundtrack such as Minecraft and Transistor. Overall sound is excellent and there certainly seems to be an emphasis placed on bass which is music to the ears of FPS fans though we would suggest that you could get better sound elsewhere if you are prepared to pay for it. The Turtle Beach Ear Force Z60 is the first headset to feature 7.1 channel DTS headphone X surround sound and so we thought it would be useful to draw what comparison we could from the two technologies in this headset and whether there is any particular lead one has over the other. 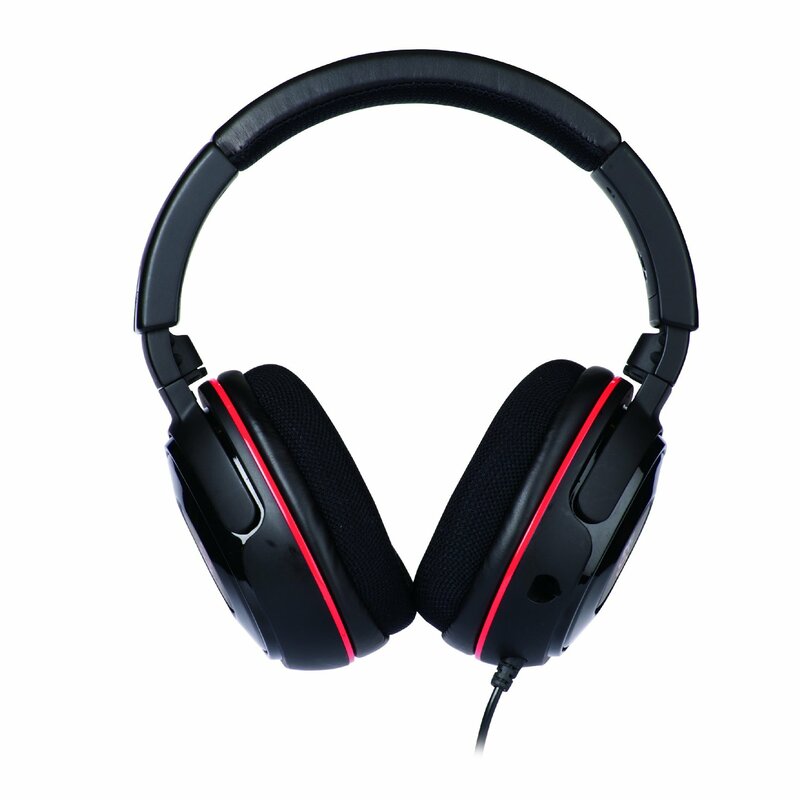 Simply said, the Z60 which uses DTS Headphone X Surround Sound Technology delivers sound through this headset in no more meaningful way than Dolby Digital Surround Sound does for other Turtle Beach headsets we have tested (e.g. the Turtle Beach Ear Force PX4) . Arguably, as DTS uses less compression in the encoding process, and Dolby Surround Sound being designed and reserved typically for cinema viewing, DTS Headphone X Technology should run away with it. But through our comparisons, we did not observe any noticeable gap between the two and both delivered great audio. The Z60 Ear Force do feel slightly on the heavy side but Turtle Beach are renowned for this. Thankfully they have done a good job in ensuring the speaker cushions comfortably fit around your ear making long gaming sessions a breeze (quite literally, owing to the plentiful ventilation that comes through the ear cups). The cups are twistable too which means they can comfortably sit around your neck without getting in the way making these extremely versatile and practical for everyday use. You can shop for best prices here.